An incredibly crisp, clean and refreshing alternative to your typical ready to drink cocktail. Made with the cleanest vodka, the clearest water and 100% natural flavours, it is pure refreshment in a can. 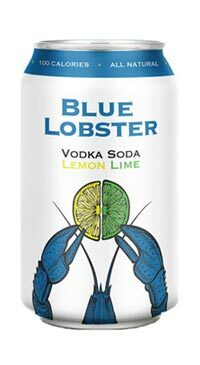 Leave your vodka, mixers, glasses, lemons, limes and ice at home – reach for a Blue Lobster Vodka Soda. 0g carbs, 0g sugars, gluten free and sweetener free. Tastes awesome i just tried this for the first time just now and i love it !